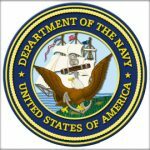 Five companies have won spots on a potential nine-year, $223.9 million contract from the U.S. Navy to provide program management support to the Deputy Chief of Naval Operations in the manpower, personnel, training and education areas. The Naval Supply Systems Command’s Fleet Logistics Center Norfolk received 11 offers for the multiple-award, indefinite-delivery/indefinite-quantity contract via FedBizOpps, the Defense Department said Friday. Contractors will vie for task orders to help organizations under the DCNO to conduct strategic assessment and planning, quantitative analysis and performance assessment efforts. Work also covers management of manpower, personnel, training and education programs as well as research, development, test and evaluation activities. The contract has a base value of $66.8 million over a three-year ordering period that runs through August 2021 and the ordering period could extend until August 2027 if all options are exercised. Each contractor will receive $10,000 in minimum contract funds at the time of award. Fifty percent of work will occur in Millington, Tenn., and the rest will take place in Arlington, Va., Pensacola, Fla., various contractor facilities and other locations within the continental U.S.